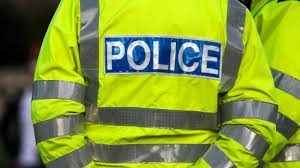 Police have warned Hellesdon drivers to make sure their vehicles are kept locked, even if parked on a driveway, after a spate of thefts overnight on Thursday October 4. Cars were targeted in Wood View Road, Gowing Road and Kinsale Avenue. Bank cards stolen from one vehicle were later used in fraudulent transactions in Norwich. Most the vehicles targeted had been left unlocked. It is believed two suspects were involved. They are described as white males, wearing dark clothing and they had pushbikes with them. Police are urging anyone who believes they’ve been a victim who hasn’t yet reported it to do so, and they are asking for people to check any CCTV covering the areas mentioned. This entry was posted in Hellesdon, Home Page and tagged crime, Hellesdon, Norfolk Police on October 5, 2018 by Gay Webster. 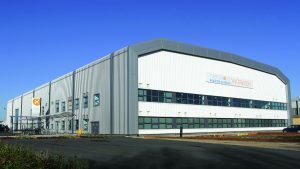 More than 100 guests helped celebrate the first anniversary of the opening of the International Aviation Academy, on the Norwich Airport industrial estate, a stone’s throw from the airport terminal in Hellesdon. And academy chiefs want curious Hellesdon residents to know that the academy is open to the public during the week. The birthday guest list included senior RAF officers, MPs, local councillors and members of the local aviation, education and business communities. Also taking part were more than 70 air cadets. Keynote speakers included Norwich North MP Chloe Smith who has, since 2016, supported a seven-point aviation skills manifesto, developed by the Aviation Skills Partnership (ASP), which the partnership used to get the academy project off the ground. The project was made possible by Norfolk County Council, the New Anglia Local Enterprise Partnership and Norse Group, plus supporting partners Norwich City Council, Norwich International Airport, KLM UK Engineering, University of East Anglia, City College Norwich and WT Partnership. Although the academy has been open for a year, and is already used by hundreds of students, many local people are still unaware of its existence – or the fact that it is open to the public. Designed from the outset to inspire people into the world of aviation, the building is actually a World War Two aircraft hangar, which has been transformed into a revolutionary learning environment. The atrium, with its giant TV screen, displays of aircraft engines, models and aviation art, along with the SkyLounge Café, is open to the public from Monday to Friday. 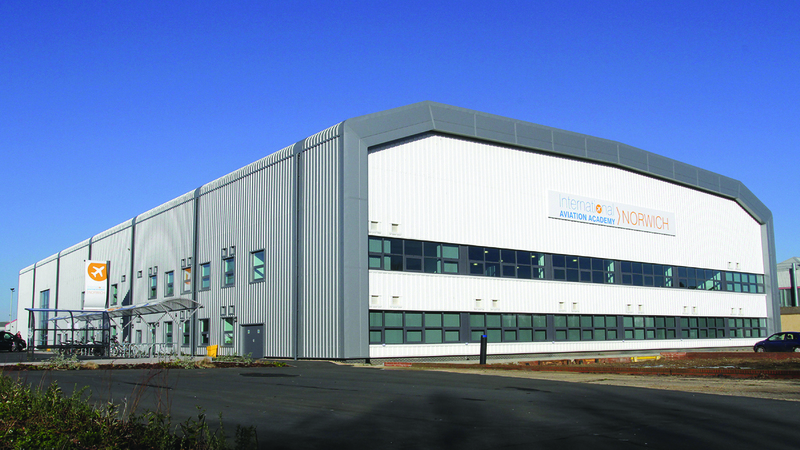 The cornerstone of the academy concept, and what makes it unique, is that practical and academic learning are based in the same place – the academy houses a complete, fully-functional, Boeing 737 airliner. In the near future further partnerships with training providers and aviation businesses will see more aviation opportunities for students – not just in engineering. The culmination of the anniversary event was the cutting of a cake made especially by the academy’s own Norse Catering SkyLounge team. This entry was posted in Hellesdon, Home Page and tagged chloe smith, city college norwich, Hellesdon, International Aviation Academy, New Anglia Local Enterprise Partnership, Norfolk County Council, Norwich International Airport on September 7, 2018 by Gay Webster. Lego, Star Wars, Transformers, Pokemon, comics and merchandise from popular TV, film and video-game franchises will be among items on sale in Hellesdon next month. The Norwich Vintage and Modern Toy Fair is preparing for its 11th show and has found a home at Hellesdon Community Centre. The fair will be there on Sunday September 2 from 9.30am (various entry fees apply). 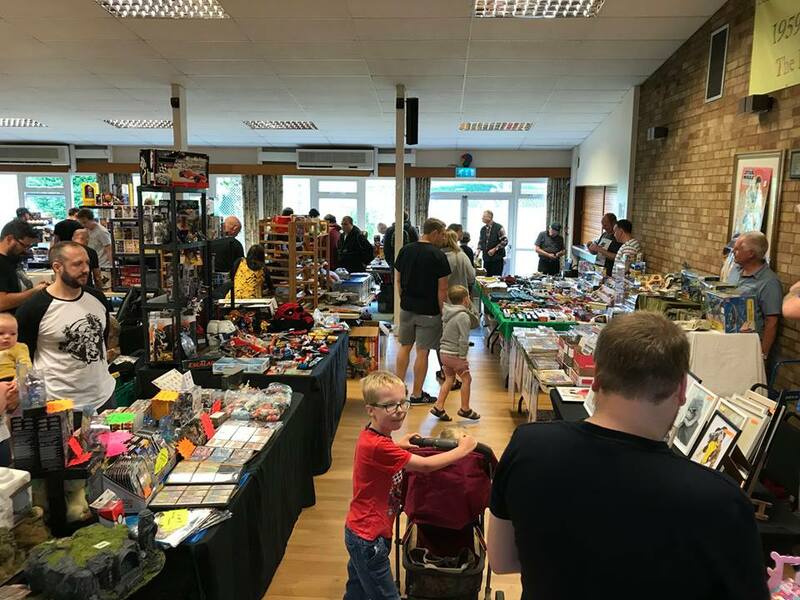 This entry was posted in Hellesdon, Home Page and tagged Hellesdon, Hellesdon Community Centre, Lego, pokemon, Star Wars, Transformers, Vintage & Modern Toy Fair on August 1, 2018 by Gay Webster. 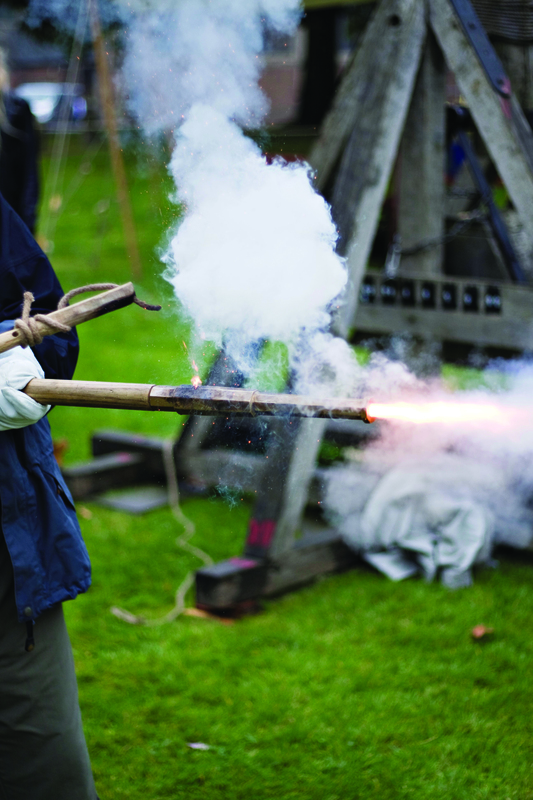 Medieval firepower, a costumed re-enactment group, crafts and many other historical activities and displays will be on show in Hellesdon Community Centre tomorrow, Saturday July 14, from noon to 4pm., The Hellesdon History Live! event, organised by Hellesdon Community History, is celebrating the 600th anniversary of the first Paston letter. 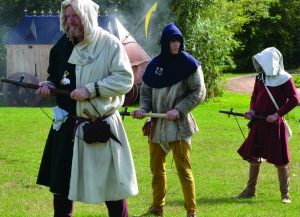 The Pastons were Norfolk’s most influential family at one time and their correspondence through the Wars of the Roses years has helped historians understand the period. The Pastons’ manor house in Hellesdon was besieged by the Duke of Suffolk in 1465. Other attractions at the event include Hellesdon Community Choir, Hellesdon High PTA , UEA, and board games with Hellesdon Youth Club. Refreshments will be available. 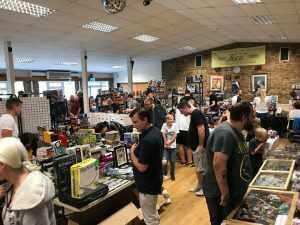 This entry was posted in Hellesdon, Home Page and tagged Hellesdon, Hellesdon Community Centre, Hellesdon Community History, Hellesdon History Live!, Paston family, Paston Letters on July 13, 2018 by Gay Webster. An open day to celebrate the restoration of the railway platform at Hellesdon Station will be held on Saturday June 30, from 10:30am-3:30pm. 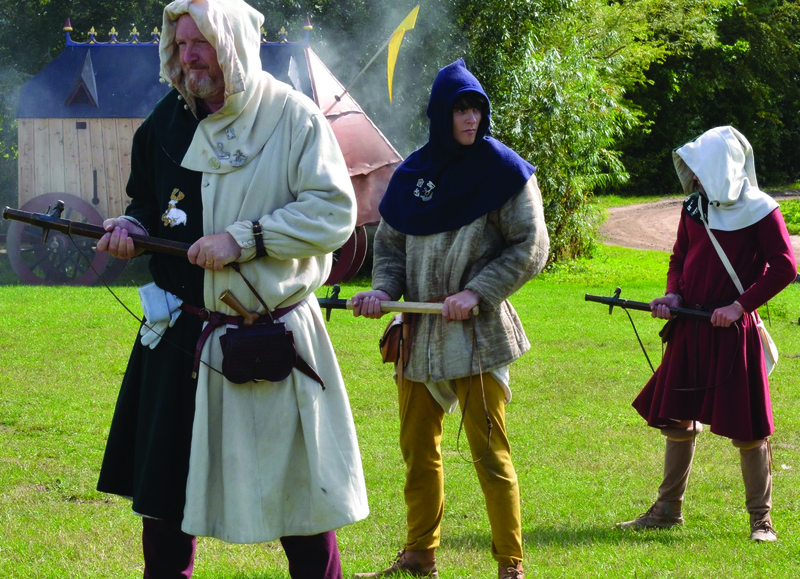 The event is organised by Norfolk County Council’s Marriott’s Way Heritage Trail project. Hellesdon Station can be found in the woods, just off Hellesdon Road, near the road bridge over the River Wensum. Some car parking can be found at the Marlpit Arms and on Hellesdon Road. 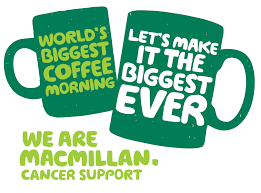 Follow this link to zoom to a Google map showing where the Open Day will be held. To celebrate the launch of the new Norwich cycle map, join organisers for the first ride along one of Norwich’s new circular leisure cycle routes. They will be riding a 20 mile loop along Marriott’s Way to Attlebridge, returning back via Ringland and Costessey. 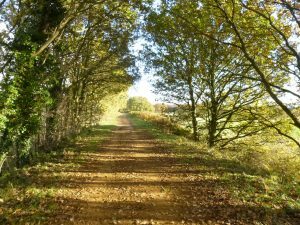 The ride starts at 11am from the main event at Hellesdon Station, and includes off-road and on-road surfaces. It would be suitable for any bike except road bikes. 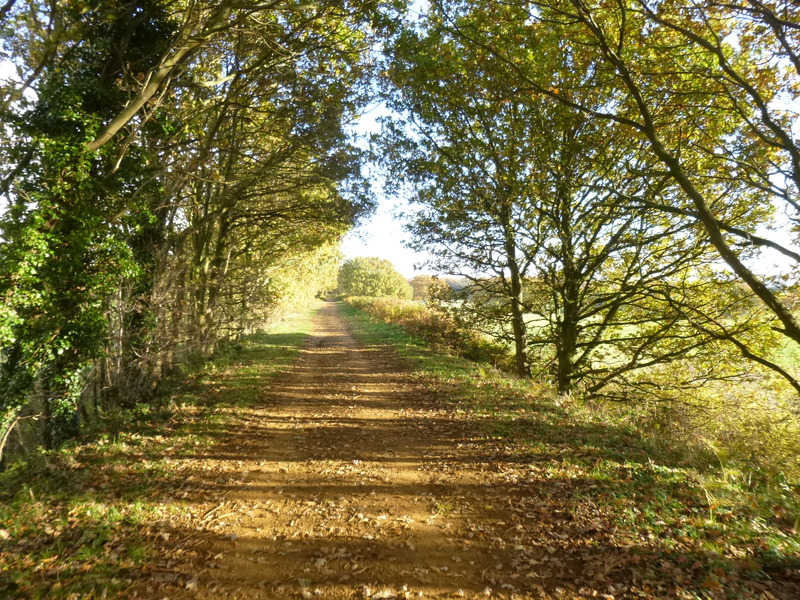 Perfect for families, there will also be a short led ride along Marriott’s Way to the beautiful Gunton Lane Park with its woodland paths and shallow river – great for picnics and paddling. This will be at 2pm and will also be suitable for balance bikes. There will be an area for balance bike training, led by Pushing Ahead, so bring along your little ones to get them confident on two wheels. A Bioblitz will be running throughout the day with expert wildlife recorders to help you identify species you’ve spot. They’ll be creating a record of everything that’s been spotted. The Marlpit Community Garden (Sustainable Living Initiative) will have a stall selling local produce and cakes, so remember your pennies.
. Part of Marriott’s Way. This entry was posted in Hellesdon, Home Page and tagged Hellesdon, Hellesdon Station, Marriott's Way, Norfolk County Council, Norwich City Station Preservation Group, Stuart McPherson on June 13, 2018 by Gay Webster. Hellesdon residents – do you want ‘western link’? 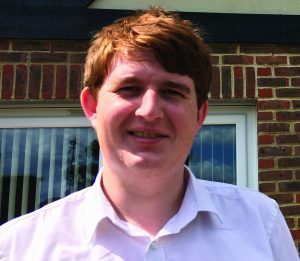 Hellesdon residents will be able to have their say about a possible “western link” to the new NDR route at a consultation event in the parish next month. 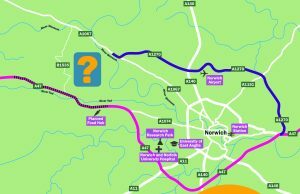 Norfolk County Council has begun a period of public consultation asking people whether they think a Norwich western link is necessary. One of nine consultation events in the county will be held in Hellesdon Parish Office, near the community centre, on Tuesday June 26, from 10.30am-8pm. County council staff will be on hand to answer questions and there will be a chance to respond to the consultation in person. 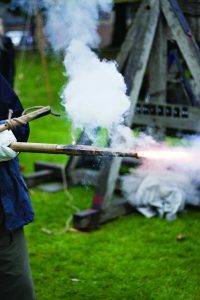 Hellesdon Norfolk County Council representative Shelagh Gurney is encouraging local residents to visit the event. “It is important that residents are able to participate in the consultation exercise and have their say,” she said. 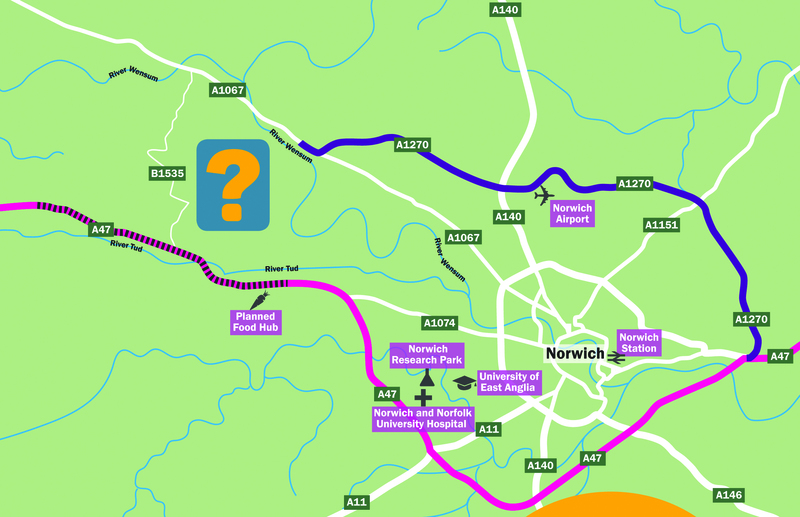 “There has been much favourable comment about the recently-opened NDR, Broadland Northway, with residents reporting the benefits of accessing the A47 when travelling to Great Yarmouth, Wroxham and north Norfolk in general. “Now is the opportunity to decide whether or not the NDR traverses the Wensum Valley and joins up with the A47 at the Dereham Road end. There will be a lot of research required and careful consideration of the environmental impact of such a road, but the benefits of reduced travelling times for emergency services, particularly ambulances wishing to access the Accident and Emergency services at the hospital, will mean that critical treatment can be accessed more expediently”. This entry was posted in Hellesdon, Home Page and tagged A47, Hellesdon, Norfolk County Council, Norwich NDR, Shelagh Gurney, Western Link on May 23, 2018 by Gay Webster.